The endocrine system controls the release of hormones in the human body. Numerous studies have shown that certain chemicals – namely, phthalates, parabens, and phenols – may disrupt the endocrine system, which can in turn affect levels of estrogen, androgen, and other hormones in the human body. These hormones affect a wide variety of processes, including sleep patterns, metabolism, reproductive ability, behavioral patterns, development of sexual characteristics, and allergic responses in children. Cosmetics, scented products (shampoos, soaps, perfumes, deodorants), nail polish, acne cream, shaving cream, and certain toothpastes are but some of the personal care products consumed by people every day that have been shown to contain levels of phthalates, parabens, and phenols. 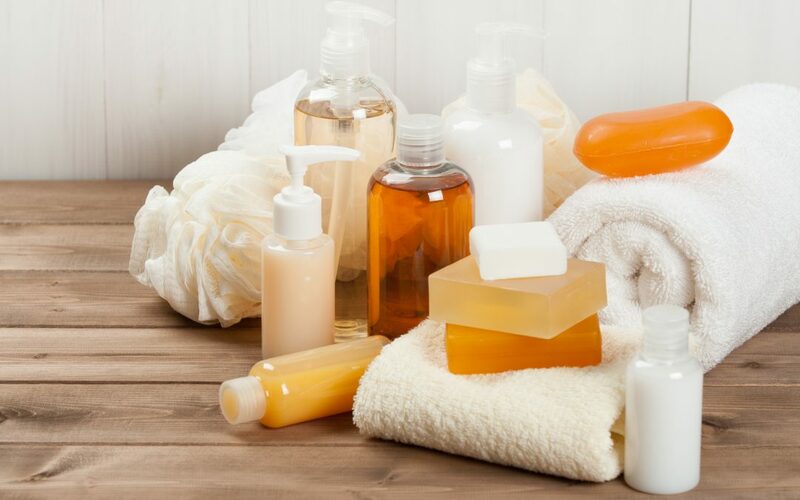 Companies in the personal care industry have taken note of the increasing consumer awareness regarding the effects of phthalates, parabens, and phenols, and have started manufacturing and marketing products that are “phthalate free” or “paraben free.” Now, for the first time, a study has been conducted and published in the scientific literature that shows that even a three day cessation of using personal care products that contain chemicals that may disrupt the endocrine system can lead to a lowering of those chemicals in the body. Dr. Kim Harley, a researcher with the Center for Environmental Research and Children’s Health at the University of California – Berkeley conducted a study of 100 teenage girls between the ages of 14 and 18 years old in California in which she had the girls use personal care products that were marketed to be free of chemicals that may disrupt the human endocrine system. The girls were asked to refrain from using their traditional personal care products for three days. Immediately prior to the start of the trial, more than 90% of the teenage girls had detectable levels of three types of phthalates, four types of parabens, and two types of phenols in their system. After three days of using personal care products without these chemicals in them, the girls showed an average decrease in the levels of all phthalates between 0.5% and 27.4%; decrease in levels of both types of phenols by 35% to 36%; and a decrease in two types of parabens by 43% to 45%. Currently, the Food and Drug Administration (FDA) has little power to regulate the use of chemicals in personal care products. However, legislation introduced by U.S. Senators Dianne Feinstein from California and Susan Collins of Maine would give the FDA the ability to regulate personal care products to the same degree as the food and drug industries. Under the Feinstein-Collins Personal Care Products Safety Act , the FDA would be required to investigate the safety of five ingredients annually that are used in cosmetic products. Manufacturers would be required to register their manufacturing facilities and disclose each ingredient used in their products to the FDA. Also, the FDA would have the power to recall personal care products that the agency deemed dangerous to human health. Finally, the bill would require manufacturers to label their products with warnings if the products contained ingredients that may harm consumers. The Feinstein-Collins Personal Care Products Safety Act will take time to navigate through the various channels of the legislative process. Whether or not the Act passes, there will be an impact on consumers and manufacturers alike. Corporations must be sure that they are fully informed regarding the bill’s proposals and their requirements under any final bill. Consumers should pay attention to the results of the pending legislation to determine whether any final bill protects their interests. CMBG3 Law LLC has represented clients in products liability and toxic torts matters for many years. We provide the most current legal advice to our clients by staying on top of developments in science, medicine, and regulations regarding a wide variety of substances and products used by consumers every day. If you have any questions or would like more information, please contact John Gardella (email him or 617-936-4353, ext. 204).